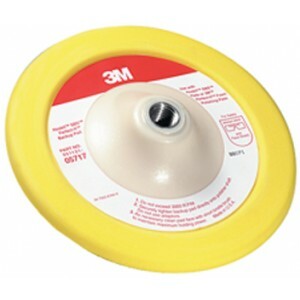 Speed up your buffing and polishing time when detailing your boat with the 3M Hookit Backup Pad. This pad enables 3M Superbuff Compound Pad users to use the 3M Perfect-It Foam Polishing Pad without having to remove the 3M Superbuff Adaptor 05710 from the shaft of the polisher. Fits all standard 5/8 in shaft slow-speed polishers.